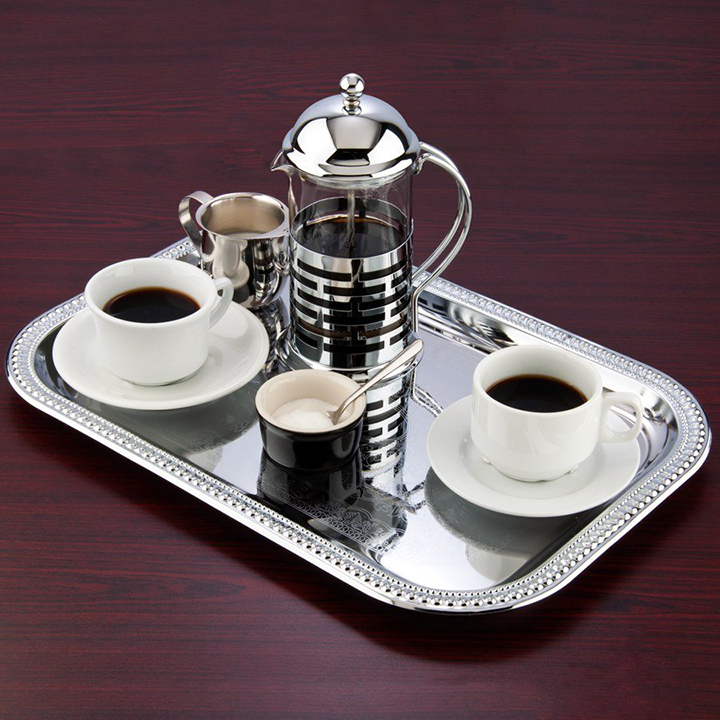 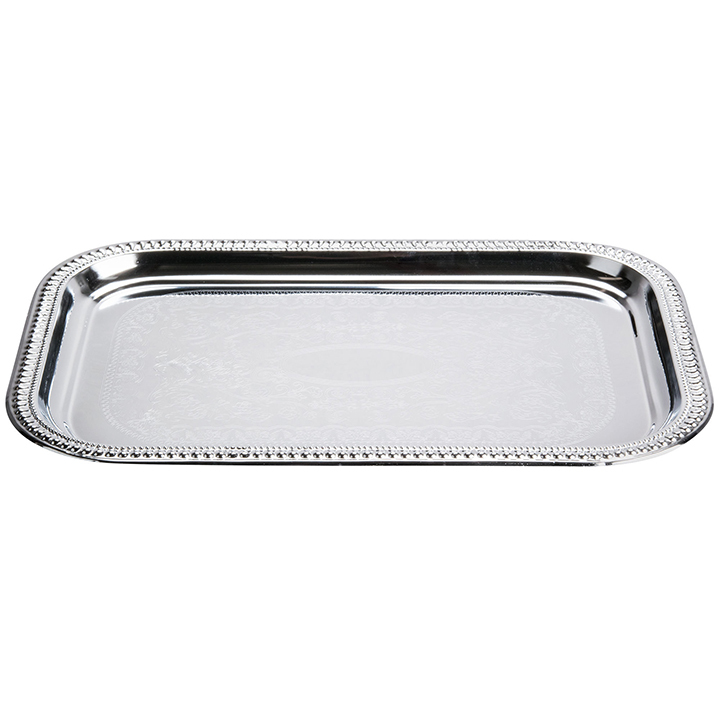 When you require an elegant way to serve your guests coffee, tea, appetizers, or desserts, a stainless tray will work well. With this rectangular tray, its large and sturdy design makes it easy to carry items without worrying about spills. 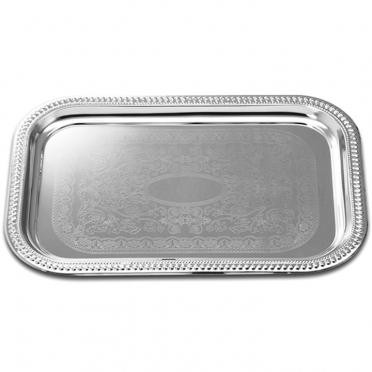 The scalloped-edges add interest and beauty. 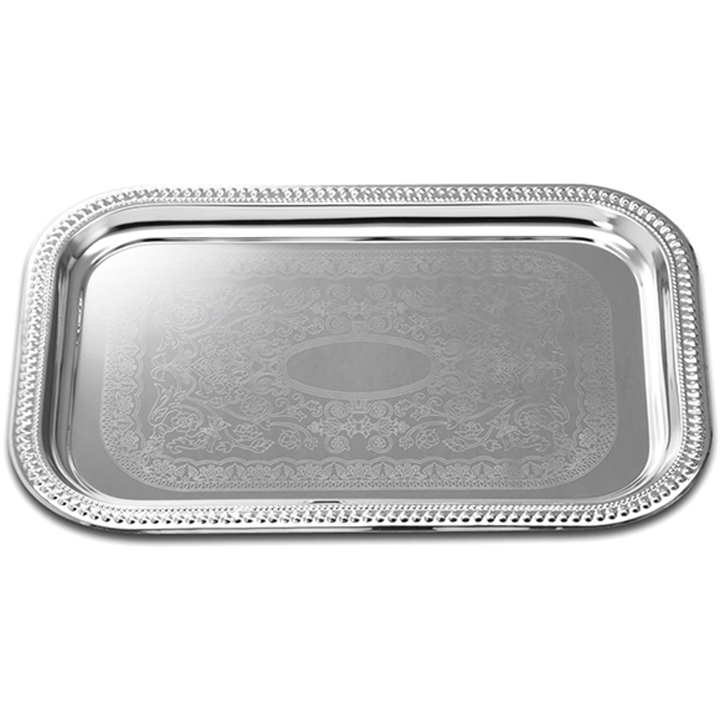 Any black-tie event will benefit from having this type of serving piece.